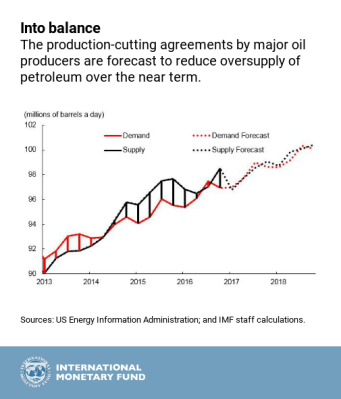 In November 2014, the Organization of Petroleum Exporting Countries (OPEC) decided to maintain output despite a perceived global glut of oil. The result was a steep decline in price. Two years later, on November 30, 2016, the organization took a different tack and committed to a six-month, 1.2 million barrel a day (3.5 percent) reduction in OPEC crude oil output to 32.5 million barrels per day, effective in January 2017. The result was a small price increase and some price stability. But the respite may be temporary, because the price increase is likely to stimulate other oil production that can come on line quickly. 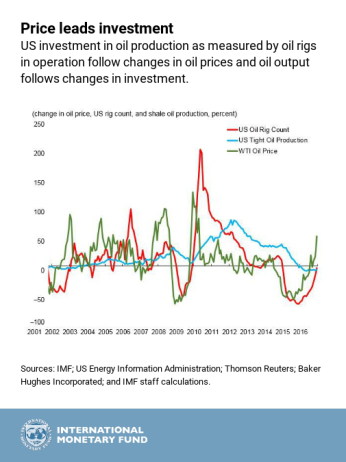 A recent sharp decline in prices because of higher than expected oil inventories in the United States underlines the temporary nature of the respite the OPEC agreement provides.